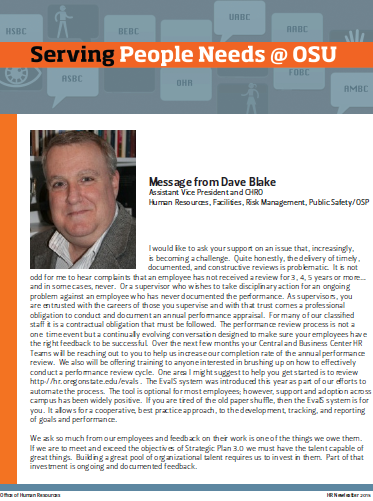 The purpose of the OSU HR Newsletter is to allow all OSU employees to find out about hot topics and workplace issues. It’s a chance to let you know what is going on within the world of human resources. We will also have a section to recognize our newest employees and say farewell to our departing colleagues. We want to keep it light, conversational, and informational. PEBB Open Enrollment is Coming! Watch for these Training Programs! Does OSU have a policy for that?